3) What type of testing is done to supplement the rigorous testing? 4) Capture and replay facilities are least likely to be used to …. 5) What is the smallest number of test cases required to Provide 100% branch coverage? 7) If a candidate is given an exam of 40 questions, should get 25 marks to pass (61%) and should get 80% for distinction, what is equivalence class. 9) One of the following is not a part of white box testing as per BS7925-II standards. A.Ensure the test item is adequately tested. B.Make the need for black-box testing redundant. C.Run the risk that the requirements are not satisfied. D.Suffices for the unit testing phase. c.Function recording and tracking problems. 12) Cost of the reviews will not include. 13) What type of testing will you perform on internet banking solution? 15) Which of the following is not included in Test Plan. 16) A piece of software has been given….what tests in the Following will you perform? A.1&2 are true and 3 is false. C.1 is true, 2&3 are false. D.1&2 are false, 3 is true. 18) Which of the following provides the biggest potential cost saving from use of CAST? 19) Testing is not done to …. 21) Which of the following are false? A.Incidents should always be investigated and resolved. B.Incidents occur when expected and actual results differ. C.Incidents can be analyzed to assist in test process improvement. D.An incident can be raised against documentation. 22) Which of the following is a type of non-functional testing? A.It is easy to execute. B.It is designed to detect faults if present. C.The expected outcome is specified before execution. D.It is unlikely to delay progress. A.An appropriate way of deriving system tests. B.Only used if good requirements are not available. C.Only used when good requirements are available. D.The most appropriate way of deriving system tests. 26) Which of the following is true of V-model? A.It includes the verification of designs. B.It states that modules are tested against user requirements. C.It specifies the test techniques to be used. D.It only models the testing phase. 27) Which of the following is NOT part of a high-level test plan? A.Functions not to be tested. 28) When do you stop testing? A.When the specified number of faults are found. B.When the test completion criteria are met. C.When all high and medium priority tests are complete. D.When all statements have been executed. 29) Which of the following is least important in test management? 30) How would you estimate the amount of re-testing likely to be required? A.Metrics from previous similar projects. B.Discussions with the development team. C.Time allocated for regression testing. A.Compiling code is not a form of static analysis. B.Static analysis need not be performed before imperative code is executed. C.Static analysis can find faults that are hard to find with dynamic testing. D.Extensive statistic analysis will not be needed if white- Box testing is to be performed. A.Testing whether a known software fault been fixed. B.Executing a large number of different tests. C.Testing whether modifications have introduced adverse side effects. D.Using a test automation tool. 33) A field failure occurs when multiple users access a system. Which of the following is true? A.This is an acceptable risk of a multi-user system. B.Insufficient functional testing has been performed. C.This indicates an important non-functional requirement was not specified and tested. D.It is not possible to test against such events prior to release. A.Testing the system when combined with other systems. B.Testing a sub-system using stubs and drivers. C.Testing a system with a large number of users. D.Combing software components and testing them in one go. A.How rapidly data is transferred through a program. B.The rate of change of data values as a program executes. C.The use of data on paths through the code. D.The intrinsic complexity of the code. A.There is some existing system against which test output may be checked. B.The tester knows everything about the software under test. C.The tester can routinely identify the correct outcome of a test. D.Tools are used to check the results of testing. 37) The following text will be used in Q.37 and Q.38. To the nearest $ which of these is a valid Boundary Value Analysis test case? 38) Which of these groups of numbers would fall into the same equivalence class? 39) Which of the following is NOT a characteristic of User Acceptance Testing? A.Use of automated test execution tools. C.Testing against acceptance test criteria. D.Integration of system with user documentation. B.Be unlikely to cause a failure. C.Never fail under any circumstances. D.Be written according to coding standards. 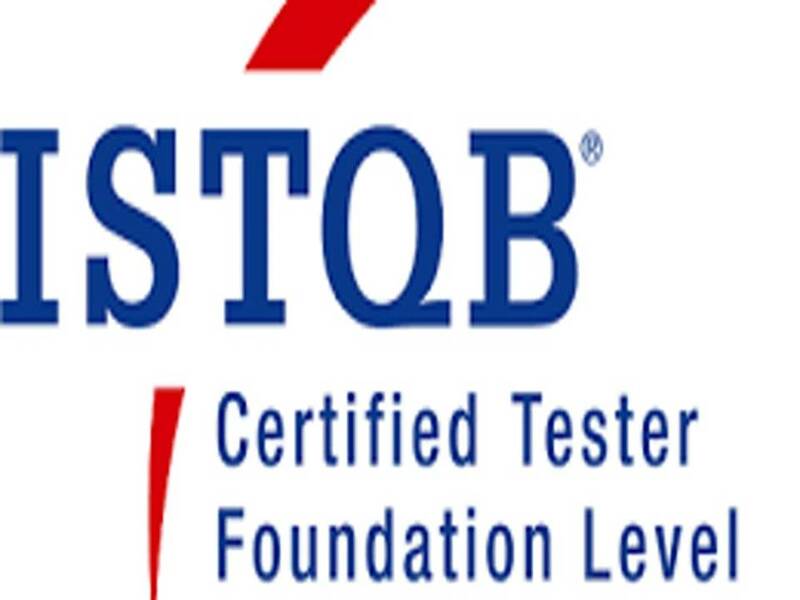 ISTQB Mock Tests © 2019. All Rights Reserved.